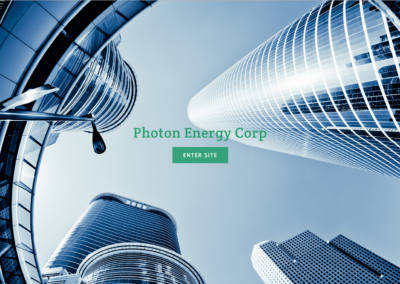 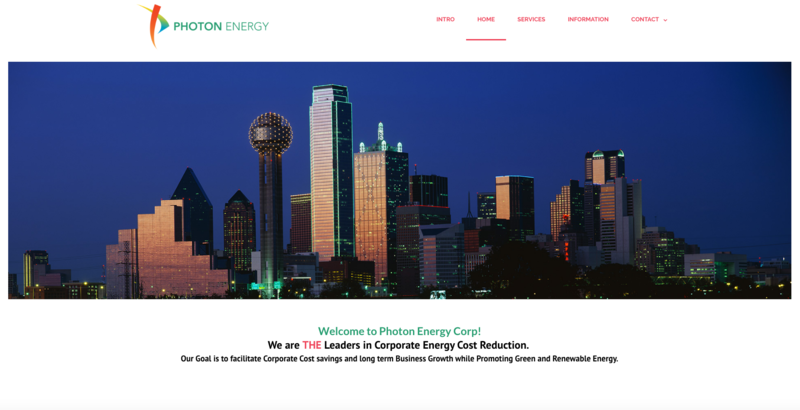 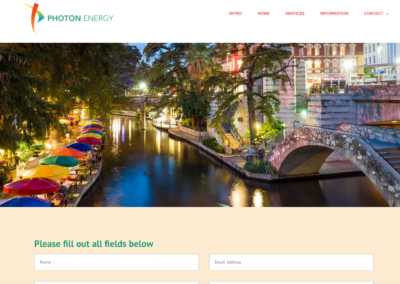 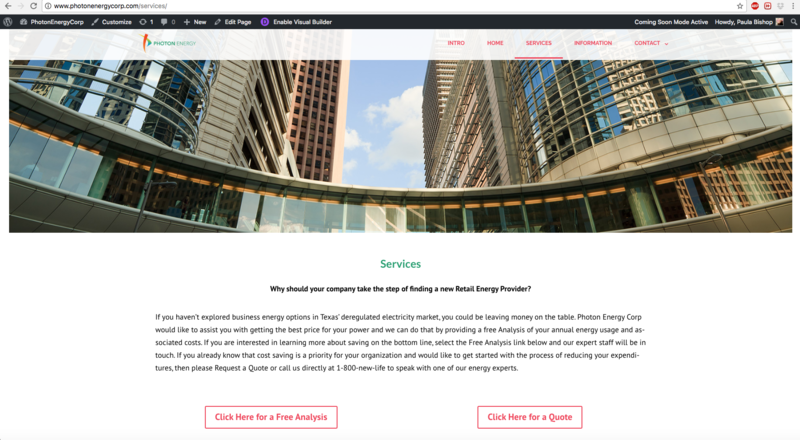 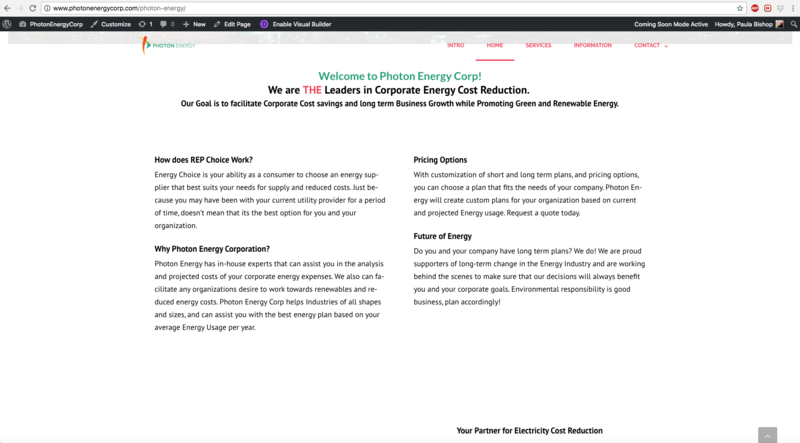 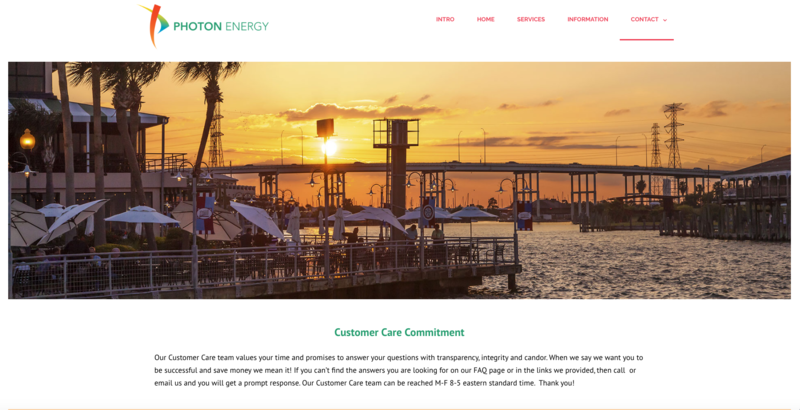 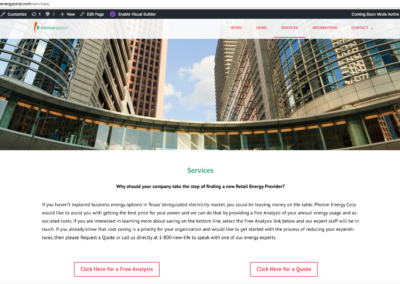 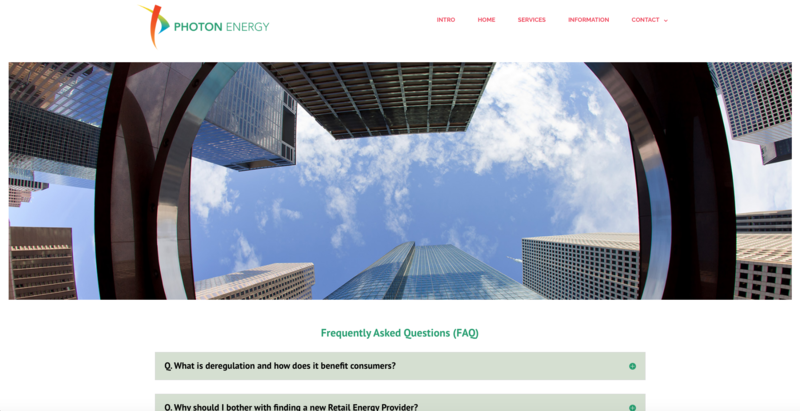 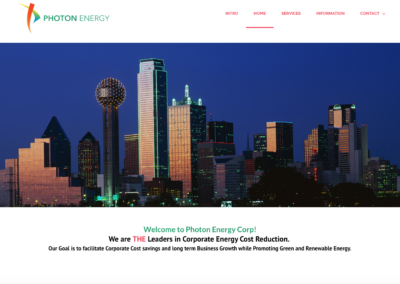 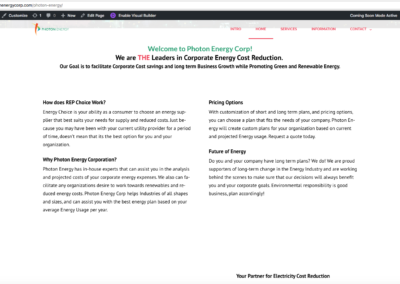 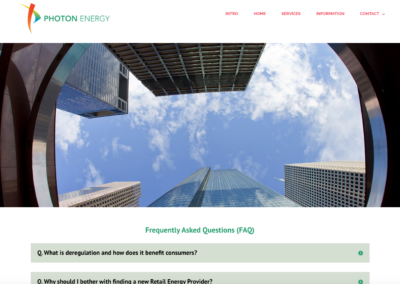 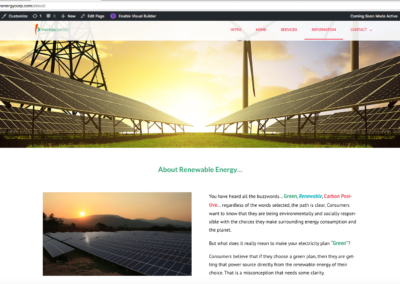 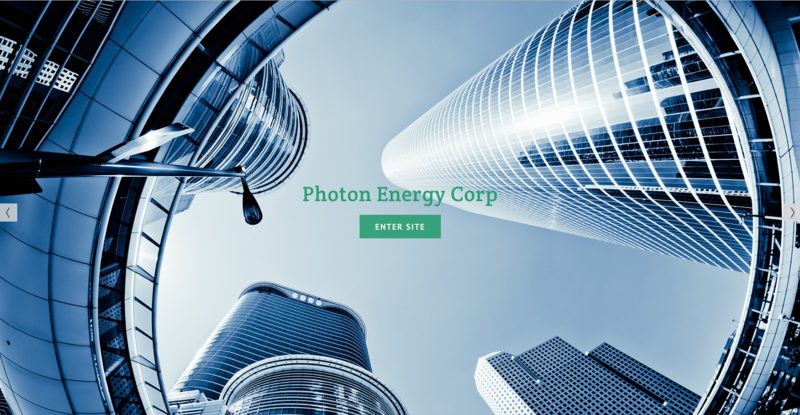 Photon Energy Corporation provides retail alternative energy solutions to Texas, and approached me about taking a website their account manager had put up in Weebly, but they wanted to migrate to WordPress, using the free Agama theme, which had a splash page. 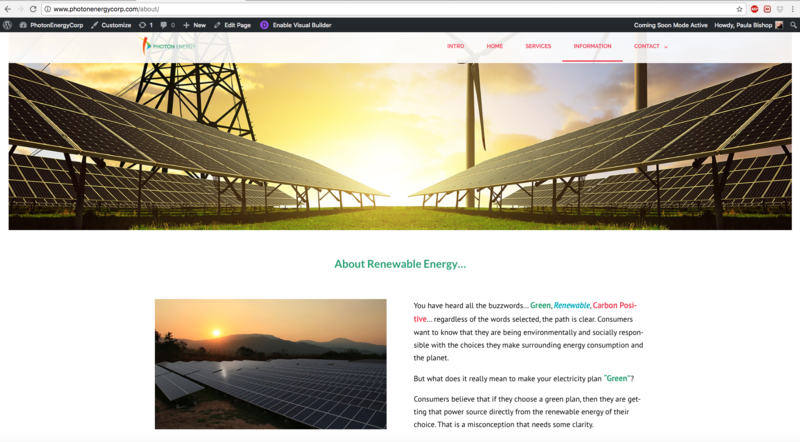 The splash page leading into the site with Agama still showed the menu, so I did have to do some fancy CSS work to hide the menu just on that page. 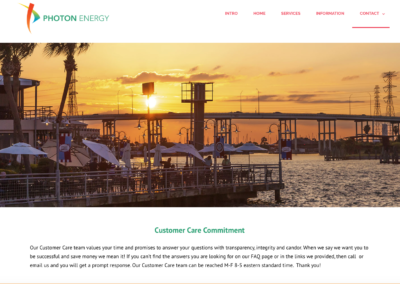 The goal of the project was to get them up and running with a fairly quick site which they could then modify and build out as needed. 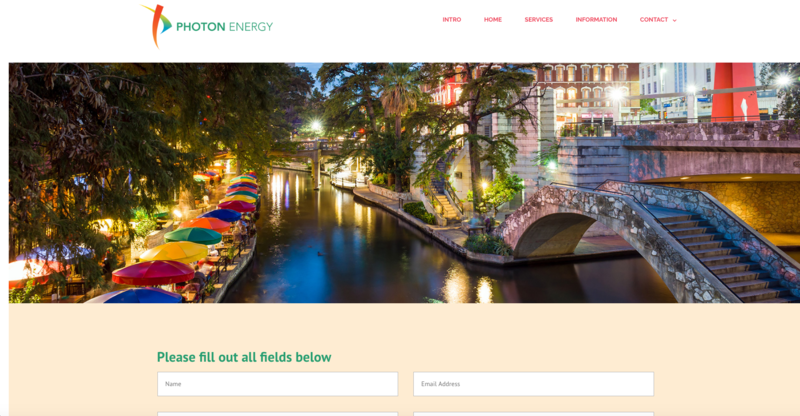 Particularly they wanted to show imagery that was relevant to Texas, particularly Dallas, to relate to their client base.